From The Female Family Of: BHF Jane Of The Oaks which includes WC CH Sea Beauty, RWC King Carpenter, RWC Sandalwood Sea. CH Satan's Seductress, WC Sire The Emerald Sea, CH The Jazz Singer, RWC Iron Will, WC CH Callaway's Scoop The News, RWC Cecile and WC Here I am Again. Seek And Distroy (AKA Doubletrees Top Gun)- 2006 Yakima Mid-Summer 5 Gaited Jr. Ex. Grand Champion. 2006 Summer Showcase 5 Gaited Jr. Ex. Grand Champion. 2009 Red Deer Classic 5 Gaited Show Pleasure Grand Champion. 2009 Western Canadian Championship 5 Gaited Show Pleasure Reserve Grand Champion. Doubletrees Classique- 2003 NWSA 2 Year Old FIne Harness Champion. Avant To Be Alone- 2008 Summer Showcase S&B Shatner Champion. 2009 Country Western and Shatner Champion. 2009 Yakima Country Western Champion. 2009 Oregon State Fair Country Western Grand Champion. 2009 Shatner Champion. 2010 Summer Showcase Country Western Grand Champion. 2011 C-Fair Country Western Reserve Grand Champion. 2012 Key Classic Country Western Grand Champion. 2012 Summer Showcase Country Western Grand Champion. 2012 C-Fair Country Western Grand Champion. NWSA Country Western Grand Champion. 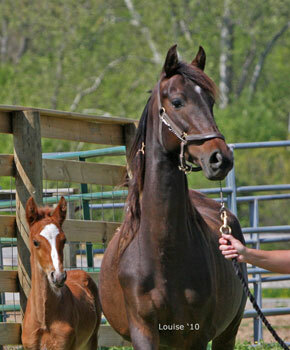 Doubletrees Classic Design- (Chestnut Stallion by Doubletrees General D.) 1994 NWSA Weanling Grand Champion. 1995 NWSA Yearling Grand Champion. 2000 Showcase Of The West Junior/Limit Fine Harness Champion. 2001 NWSA Fine Harness Open Champion. 2002 UPHA Almost Summer Fine Harness Grand Champion. 2002 NWSA Fine Harness Grand Champion. 2003 Monterey Springfest Fine Harness Grand Champion. 2004 Germantown 3 Gaited Novice Champion. Doubletrees Scarlet Design- 2003 NWSA Futurity 3 Year Old Show Pleasure Champion and UPHA Park Pleasure Champion. 2008 Randolph Classic Park Amateur Champion and In Hand 3 & Over Champion. Classic Armani- 2003 NWSA Futurity 3 Year Old 5 Gaited Champion. 2005 UPHA Chapter One 5 Gaited Pleasure Champion. Classic Music By Design- 2002 Northwest Futurity Yr. Filly Reserve Champion. 2002 Washington Futurity Yr. Reserve Grand Champion and Yearling Filly Champion. 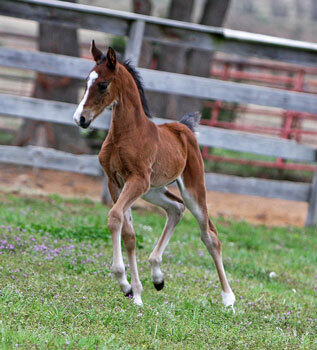 Harlem's King of Music- 2005 Northwest Futurity Weanling Colt Reserve Champion. 2006 Northwest Futurity YearlingReserve Champion. 2007 2 Year Old In Hand and Under Saddle Reserve Champion. 2008 Summer Showcase UPHA Park Pleasure Champion. Pinnacles Classic Victory- 2006 UPHA Chapter One 5 Gaited Novice Champion. 2006 Santana Barbara 5 Gated Junior/Limit Champion. 2006 Summer Showcase 5 Gaited Junior Grand Champion. 2006 NWSA 5 Gaited Junior/Novice Grand Champion. 2008 Yakima Mid-Summer 5 Gaited Pleasure Champion. 2008 Oregon State Fair 5 Gaited Grand Champion. 2009 UPHA Chapter II Park Pleasure Grand Champion. 2009 Oregon State Fair Park Pleasure Grand Champion. The Magic Design- 2006 Summer Showcase UPHA Park Pleasure Champion. 2007 Oregon State Fair 3 Gaited Show Pleasure Prospect Champion. 2008 Yakima Mid-Summer 3 Gaited Show Pleasure Adult. 2008 Oregon State Fair 3 Gaited Adult Show Pleasure Grand Champion. 2009 NWSA Spring Warm Up 3 Gaited Show Pleasure Adult Reserve Champion. RWC CH Iron Will- 1994 Bonnie Blue 5 Gaited Amateur Champion. 1994 Lexington 5 Gaited Amateur Grand Champion. 1994 KSF 5 Gaited Amateur Gentlemen Reserve Champion. 1995 Midwest Charity 5 Gaited Jr. Ex. Champion. 1996 Oklahoma Centennial 5 Gaited Amateur Grand Champion. 1996 Lexington 5 Gaited Amateur Grand Champion. All-American Horse Classic 5 Gaited Amateur Championship. 2000 UPHA Spring Premiere 5 Gaited Jr. Ex. Grand Champion. 2001 Gasparilla 5 Gaited Pleasure Jr. Ex. Grand Champion. 2001 Eastern States 5 Gaited Jr. Ex. Grand Champion. RWC Cecile (AKA Callaway's Missouri Maid)- 1996 KSF 5 Gaited Mare Reserve Champion. 1998 American Royal 3 Gaited Country Adult Champion. 2002 Kentucky Fall Classic 3 Gaited Country Adult Grand Champion. 2005 Rock Creek Pleasure Equitation Grand Champion. 2008 Calvary Episcopal English Pleasure Jr. Ex. Champion. 2009 Longview Charity 3 Gaited Country Novice Champion. WC CH Callaway's Scoop The News- 1997 Milwaukee Spring Fine Harness 3 Year Old Champion. 2000 Des Moines Springfest 3 Gaited Country Jr. Ex. Champion. 2000 Milwaukee Spring 3 Gaited Country Adult Grand Champion. 2000 KSF 3 Gaited Adult 18-29 Champion. 2001 Rock Creek 3 Gaited Country Adult Champion. 2002 Des Moines Springfest 3 Gaited Country Grand Champion. 2002 KSF 3 Gaited Country Adult 18-30 Champion. 2002 Penn National 3 Gaited Country Grand Champion. 2004 KSF 3 Gaited Country Adult 18-30 Champion. 2006 St. Louis Country Hunter Grand Champion. 2007 All-American Horse Classic Country Hunt Grand Champion. 2007 Country Hunt Champion. 2008 St. Louis Country Hunt Grand Champion and S & B Hunt Finals Reserve Grand Champion. 2009 Great River Benefit Country Hunt Grand Champion and SB Hunt Classic Champion. 2009 Indiana Charity Country Hunt Grand Champion. 2009 St. Louis SB Hunt Finals GRAND CHAMPION and Country Hunt Champion. Daddy's Convertible (AKA Harlem's Recollection)- 2004 WI/IL Society 3 Gaited Pleasure Novice Champion. 2004 WI Futuirty 3 Gaited Pleasure Jr. Ex. Novice Rider Champion. 2005 Oshkosh 3 Gaited Show Pleasure 11-13 Champion. Kalarama's Memory Maker- 2008 Twin State 3 Gaited Country Adult Champion. 2008 Eastern States 3 Gaited Country Champion. 2009 Twin States 3 Gaited Country Grand Champion. 2010 Twin States Octoberfest Reserve Champion 3 Gaited Country Pleasure Adult Novice Rider. Kalarama's Memorable- 2009 Asheville Lions Country Walk/Trot Reserve Grand Champion. 2009 NC State Championship 3 Gaited Country Jr. Ex. 13 & Under Reserve Grand Champion. 2009 Carolina Classic Open English Reserv Grand Champion and Open English Champion. 2010 Asheville Spring Reserve Champion 3 Gaited Country Pleasure Jr. Ex. 14-17. 2010 Blowing Rock Reserve Grand Champion 3 Gaited Country Pleasure Jr. Ex. 14-17. Will's Worth- 1999 Monterey Springfest 3 Gaited Park Grand Champion. 1999 California Futurity Park Grand Champion. 2002 California Futrity Park Champion. 2003 Mid-America Signature Park Amateur Champion. WC Here I Am Again- 2004 NC State Championship 5 Gaited Champion. 2005 J D Massey 5 Gaited Ladies Champion. 2005 Asheville Lions 5 Gaited Grand Champion. 2006 Kentucky Spring Premier 5 Gaited Grand Champion. 2008 KSF RCC 5 Gaited Jr. Ex. 14-17 and WC 5 Gaited Jr. Ex. 14-17. 2008 Southeastern 5 Gaited Jr. Ex. Champion. 2009 Morristown Charity 5 Gaited Amateur Grand Champion. 2009 Alabama Charity 5 Gaited Amateur Gentleman Champion. 2010 Longview's Charity 5 Gaited Amateur Champion. 2010 MHSA Kick-Off 5 Gaited Ladies Champion. Ventura's Gold Card- ASHAV 2 Year Old 3 Gaited Champion. Kentucky Spring Premier 5 Gaited Pleasure Grand Champion. 2007 NC State Championship 5 Gaited Ladies Grand Champion. 2007 Carolina Classic 5 Gaited Grand Champion. 2008 Tar Heel Classic 5 Gaited Pleasure Grand Champion. 2008 Raleigh Invitational 5 Gaited Pleasure Champion. 2009 Summer Challenge Of Champions 5 Gaited Amateur Reserve Champion. Cause For Commotion (AKA Ventura's Starlit Night)- BWS Mid-Summer Classic 5 Gaited Pleasure Champion. 2008 ASHAO 5 Gaited Pleasure Champion. 2008 Inter-State Triple 5 Gaited Pleasure Champion. West Side Story- 1986 UPHA Spring Premiere 3 Gaited Show Pleasure Grand Champion. 1986 Syracuse Internation 3 Gaited Show Pleasure Grand Champion. 1989 N Y State Fair 3 Gaited Show Pleasure Novice Champion. Callaway's Splish Splash- 1992 ASHAV 3 Gaited Show Pleasure Prospect Champion. 1995 Penn National 3 Gaited Show Pleasure Adult Champion. 2002 Kentucky Fall Classic 3 Gaited Country Jr. Ex. Champion. Doubletrees Hearts Afire- 1998 Monterey Springfest 3 Year Old 3 Gaited Champion. 1998 Santa Barbara UPHA 3 Gaited Champion. 1999 Santa Barbara 3 Gaited Junior Reserve Champion. 2006 Monterey 5 Gaited Reserve Grand Champion and 5 Gaited Open Champion. 2006 UPHA Chapter One 5 Gaited Reserve Grand Champion. 2008 Monterey Springfest 5 Gaited Open Reserve Champion. 2008 UPHA Chapter One 5 Gaited Open Reserve Champion. A New Waltz- 1997 NC State Championship Fine Harness Amateur Reserve Champion. 2001 Dixie Jubilee 3 Gaited Country Jr. Ex. Champion. A Splash Of Class (AKA Chief's Promise Keeper)- 2003 Raleigh Spring Premier Park Reserve Champion. 2003 NC State Championship Park Peasure Reserve Champion. 2009 Old Dominion Benefit 3 Gaited Country Jr. Ex. Grand Champion. 2009 Rockbridge 3 Gaited Country Jr. Ex. Champion. 2009 State Fair Of WV 3 Gaited CountryJr. Ex. Grand Champion. CH Tipitina- 2000 Blowing Rock Park Pleasure Junior Champion. 2000 Southeastern Park Grand Champion. 2001 Tampa Charity Park Amateur Grand Champion. 2001 J D Massey Park Amateur Grand Champion. 2001 Southeastern Charity 3 Gaited Ladies Champion. 2001 NC State Fair 3 Gaited Amateur Grand Champion. 2002 Gasparilla Charity 3 Gaited Amateur Grand Champion. 2002 NC State Fair 3 Gaited Amateur Grand Champion. 2004 Southeastern 3 Gaited Jr. Ex. Grand Champion. 2008 All American 3 Gaited Jr. Ex. Grand Champion. 2009 All American Classic UPHA Challenge Cup Champion and National Good Hands Champion. Kristabelle Star (AKA Callaway's Upstairs Maid)- 1986 Nebraska Charity UPHA 5 Gaited Reserve Champion. 1987 Minnesota State Fair 3 Gaited Junior Reserve Champion. The Mambo King- 2000 UPHA Almost Summer S&B Shatner Champion. 2000 Denver Queen City Country Hunt Reserve Champion. 2000 Colorado Fall Charity Country Western Jr. Ex. Champion. 2005 Cuntry Western Jr. Ex. Grand Champion. Callaway's Mr. McDonald- 1986 Blowing Rock 5 Gaited Junior Champion. 1990 Blowing Rock 5 Gaited Amateur Grand Champion. 1991 Blowing Rock 5 Gaited Amateur Grand Champion. CH The Jazz Singer (AKA Serif)- 1981 Santa Barbara 5 Gaited Amateur Grand Champion. 1981 Channel City 5 Gaited Amateur Champion. 1981 Santa Anita 5 Gaited Amateur Chanmpion. 1981 Santa Barbara 5 Gaited Amateur Champion. 1983 Charlotte Queen City 5 Gaited Amateur Grand Champion. 1983 Tar Heel Classic grand Champion. 1984 Asheville Lions 5 Gaited Ladies Grand Champion. Callaway's Caledonia- 1985 Missouri State Fair UPHA 5 Gaited Champion. 1986 Pin Oak 5 Gaited Open Mare Champion. 1986 Boone County Fair 5 Gaited Open Mare Champion. 1986 Missouri State Fair 5 Gaited Junior Champion. 1988 Missouri State Fair 5 Gaited Amateur Mare. 1989 Boone County 5 Gaited Ladies Champion. 1990 Missouri State Fair 5 Gaited Amateur Grand Champion. RWC King Carpenter- 1955 KSF RWC Parade Horse. Missy Flying Genius- 1985 WI Futuirty Park Jr. Ex. 13 & Under. 1985 Madison Charity Park Jr. Ex. 13 7 Under Champion. 1985 Midwest Charity- Park Jr. Ex. 13 & Under Champion. WC CH Sea Beauty- 1964 KSF WC Junior 3 Gaited. 1966 Lexington 3 Gaited Over 15.2 Champion. 1968 Tulsa Charity 3 Gaited Grand Champion. 1969 Tulsa Charity 3 Gaited Grand Champion. 1972 Cincinatti 3 Gaited Amateur Grand Champion. RWC Sandalwood Sea- 1987 KSF RWC 3 Gaited Pony 14-17. 1988 Lexington 3 Gaited Pony Champion. 1989 Lexington 3 Gaited Pony Champion. 1989 KSF WCC 3 Gaited Pony. 1989 Kentucky Fall Classic 3 Gaited Pony Champion. 1990 Twin States 3 Gaited Pony Grand Champion. 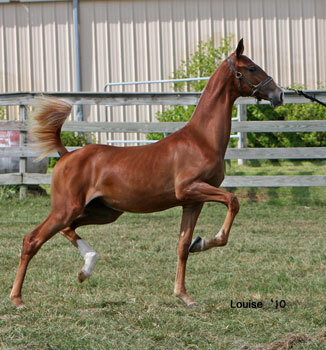 Emerald Sea Wisp- 2003 UPHA Chapter V 3 Year Old 5 Gaited Champion. 2003 Missouri State Fair 3 Year Old 5 Gaited Champion. WC CH Satan's Seductress (AKA Suzanna's Sea-Cret)- 1990 River Ridge- 5 Gaited Grand Champion. 1990 American Royal 5 Gaited Ladies Champion. 1991 St. Louis 5 Gaited Grand Champion. 1992 American Royal 5 Gaited Ladies Grand Champion. 1993 Amreican Royal 5 Gaited Ladies Champion. 1994 Rock Creek 5 Gaited Ladies Champion. 1994 KSF 5 Gaited Ladies Champion. 1996 KSF 5 Gaited Ladies Champion. Making A Move- 2008 Raleigh Spring Premier Park Amateur Reserve Grand Champion. 2008 NC State Fair Park Amateur Grand Champion. 2008 Raleigh Invitational Amateur Grand Champion. Raleigh Invitational 3 Gaited Country Reserve Champion. 2010 Dallas Summer Classic 3 Gaited Country Reserve Grand Champion. Kalarama's Mesmerized- 2008 Nebraska Charity Park Junior Champion. 2008 Longview Charity Park Champion. 2010 UPHA Chapter V Grand Champion 3 Gaited Country Adult. 2010 MHSA Kick-Off Grand Champion 3 Gaited Country Pleasure.